Panelists during Dianetics workshop discussed the importance of good mental and spiritual health. CHICAGO—“The mind can make the body sick,” said A’ishah Muhammad, student National Auditing Coordinator at the workshop Practical Application of Dianetics, Communication and Assists Part 2. “When we understand the power of the mind we can see that it ties into the increase in cortisol, increase in hypertension, the increase in cardiovascular disease, the increase in other adult diseases,” she explained during the Feb. 25 session at Saviours’ Day. She explained that one of the studies researchers are doing found that many problems people face now are generational. “We are walking around having PTSD every day,” she explained. This workshop introduced attendees to several presenters who were “spiritual physicians” and very familiar with different aspects of Dianetics. They were witness bearers for its success in their lives and the lives of others. 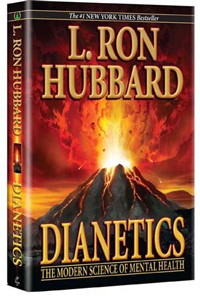 Dianetics is a tool created by Church of Scientology founder L. Ron Hubbard and addresses the contributing factors that lead to stress, depression and anxiety. It helps people uncover and deal with subconscious negative emotions and reactions. James Muhammad is from Montgomery, Ala., and works in the prison. He is following the command of the Honorable Minister Louis Farrakhan to go to the worst of our people and help to resurrect them. As valuable as the courses are everyone can’t get to a facility to attend class in person. Extension courses are designed for people who don’t live near a facility (Org) to attend classes. 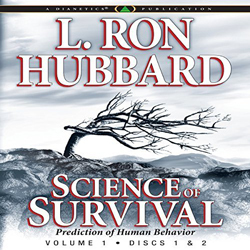 He referenced the book by Mr. Hubbard, “The Science of Survival.” These courses identify certain phrases to use to lift people up to a certain level in present time. “Extension courses give me strength to go into the prison,” he said. Niari Muhammad from Miami, Fla., spoke on Resurrection: The Proper Use of Self-Analysis. “This is about you taking the initiative to go free. Yes, I’m still talking about self-analysis, the resurrection. What are you going free from? You are going free from the demons plaguing you, your fears. We have been programmed so for over 400 years that we don’t believe we need help. So, we would deny help, when really we are denying ourselves,” she explained.